Due to software problems, we can currently NOT display the pop-up with ‘more images’ in the product detail section. They are working on it. My weekend is ruined, not that I ever have one but at least I pretend. Here is the first hour of my new novel DEMUTH. 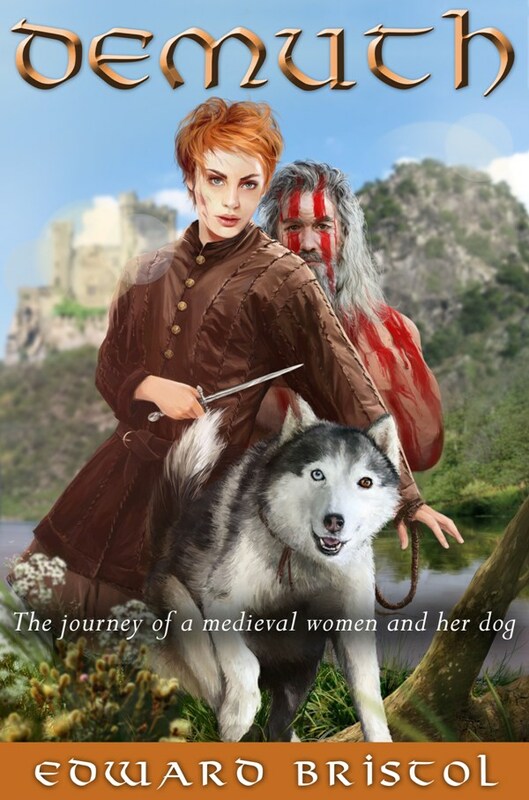 This novel does NOT deal with gemstones or 3rd world business but recounts the adventures of a medieval woman, Demuth, and her Viking dog, Hal. The Renaissance is dawning over Europe. Ideas of freedom and science shake the foundations of medieval society. New Worlds, discovered in the West, open unprecedented opportunities for Europe and its oppressed people. Demuth, the successful but eccentric apothecary, knows little about these developments… until she is forced to flee from a witch-hunt and must leave her protected life for good. With Hal by her side and a pouch of opium around her neck, Demuth learns that the world is much bigger than she had ever imagined. Listen to Part I: Lives End! The full audio-book can be bought from WildFish directly. Or here it is on good old paper, for the Kindle and IPod or all other formats (just a few $).